The decision you make regarding how and when to claim your Social Security benefits will be among the most complex and largest financial decisions you will make in your lifetime, BUT being informed has become more important than ever! Most individuals are completely unaware of a few little-known strategies capable of greatly increasing your lifetime benefits and your quality of life in retirement. 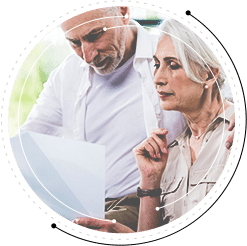 This is your opportunity to learn some crucial factors you should consider prior to applying for Social Security and throughout your retirement. A basic overview of the NEW tax rules as they apply today. How lost deductions may affect your taxes in retirement. 5 old myths (and 2 new ones) about your retirement income in 2018. Possible tools and strategies available to help develop a retirement tax strategy. Strategies to protect yourself against the taxation of Social Security. How rising taxes may affect your retirement cash flow. Learn asset allocation strategies for RMDs. Please join our premier advisors at Thrive Financial Services for this very informative, educational event. We welcome those who are at or nearing retirement to join us for an enlightening discussion on how to avoid some very common mistakes people make in signing up for Social Security benefits and get the most from your Social Security benefits. Discover how making one uninformed decision could potentially impact your retirement income by tens of thousands of dollars! Timing could be everything! View our schedule to pick the workshop that is most convenient for you, then register below!